The hotel is not near any metro station and is not in walkable vicinity so taxis have to be used but easily available from, around hotel. Hotel rather dated and wi fi not the best. Good tv channels, excellent and helpful staff make up for that. Good security presence in hotel and key card needed to access lifts to rooms. Swimming pool clean and decent size. Lots of shaded areas. Staff always available and willing to help. Requested quiet room through Agoda and my request was met. Checked in at 12 noon as room not available prior to that which wasn’t too much of a problem. 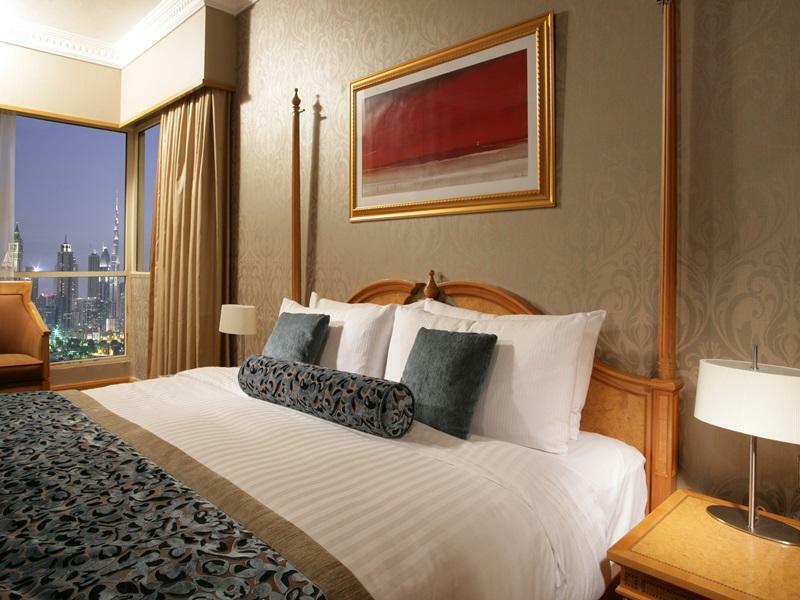 Room size was big, views of Satwa Roundabout and views of Burj Khalifa. You can see the sky scrapers of Sheikh Zayed road from hotel room. There were many Philipino, Indian, Lebanese and local fast foods outside hotel which were cheap and tasty. There is a 24 hour supermarket outside hotel. This hotel in my opinion was descent, clean and offered confortable beds and pillows. I would recommend if on a budget. Location was good and easy access to nearby attraction. Valet parking was available. The Bar downstairs playing loud music into the night until 3 AM which was kind of annoying. But overall Value for money. The only good thing about this hotel is their breakfast and location ! They have a club and the music goes on till 3am midnight and the most outstanding thing is that the music can be heard in the room with all the base sounds and vibration !! They took 2 hours to give us three rooms together !! DISAPPOINTED!! The rooms have a very prominent stink of cigarette smoke , NOTE : I opted for NON - SMOKING ROOMS , but could still smell cigarette stink ! Awful is the word !! When I booked the room online I specifically choose the non-smoking room but when we arrived we were given a smoking room. I asked if they can transfer us to the non-smoking room but we were told that there was none available. On top of that, the receptionist is not helpful and it seems he looks annoyed if a guest is complaining. Lastly, the noise coming from the bar is reaching our room and can't sleep and relax at night because of loud music. 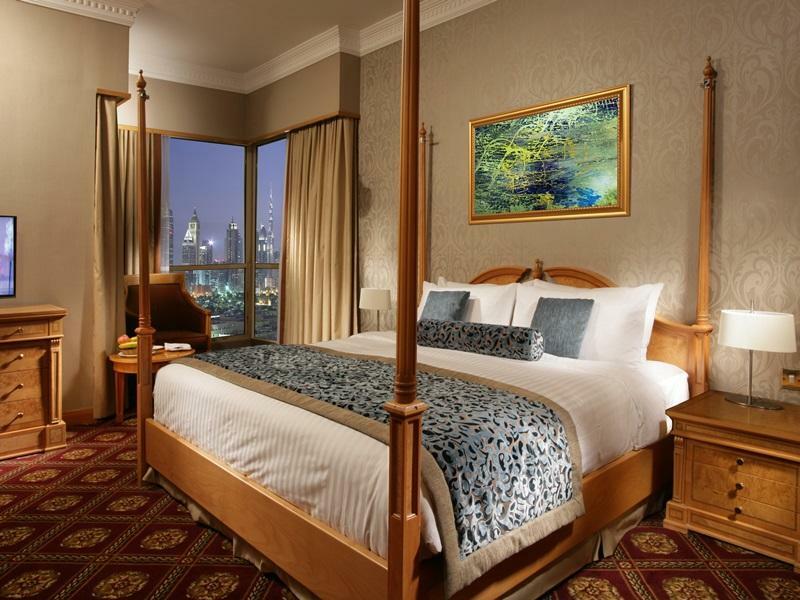 This hotel used to be one of my choices when traveling to Dubai since it has good value for money, the rooms were clean and pleasant however for the past months it seems they are no longer caring for their property especially the rooms. I am not sure if I am coming back again in this hotel but hoping they will work on it and bring back the glory days of this hotel. best hotel i have seend in a good location and reasonable price.but only one thing is bad in hotel. there toilets are not good for muslims. They dont prepare them for muslims. instead it other all things are ok. The con was that we stayed at the Hotel for 3 nights and we were only entitled to complementary bottled water only on the 1 night as per the hotel's policy. We had to go shopping for bottled water. First time to be here because of others complains about noises from bars ,but did not hear a thing living here. And nice facilities big size room made us an excellent stay here , only thing not satisfied with is the parking , valet is good but I don't like it anyway. Valuable price worth it so much . If you are looking for a economic place to stay that is well connected and centrally located, this is the place. Being an old property, every person in town knows this place and hence you can never get lost. The hotel is located on Al Diyafah road at the Satwa roundabout which is considered a haven for foodies in Dubai...access to all imaginable cuisines at reasonable prices, served quickly in a reasonably clean environment. The hotel room is spacious but has an old musty smell. The fittings and fixtures all work well and the bed was really comfortable. They are not too particular about smoking & non-smoking rooms...I wanted a smoking room that wasn't available, so they told me I could smoke in my "non-smoking" room. Pity the next guy who stays there!! Staff is very polite and service oriented...always eager to please, with a smile. The food at the hotel is just OK, but I won't complain much about this...I did not stay there for the food. The gym, steam, sauna & pool are all very good by the standards of a 3 star hotel, again with staff that was very cooperative. I would not mind staying here again. The hotel was well situated to access most areas (and quite near to metro - 10 mins walk). The pool was great, there are plenty of eating/entertainment options in the hotel. the staff were very helpful. stayed for one week and enjoyed every minute. i was often the only one at the pool, very comfortable and clean. room was large and very clean. breakfast was lovely and the staff were very thoughtful and helpful. preferred this hotel to some of the 5 star places i have stayed in dubai. no complaints. First stay at this hotel. Very conviniently located. Close to the convention centre,meena bazar, Dubai mall . Excellent Italian restraunt,and Mexican food.very good bar,I really had an excellent time here.would definitely stay here on my next trip. hotel with pizza restaurant rydges plaza hotel. hotel situated in a pleasant location. not surrounded by tall buildings, but able to go outside and walk around. room came with all the usual equipment, as well there was a sofa in the room. nice big bed and comfortable. bathroom was a good size, with bath. nice helpful bell boy to explain all the facilities while checking in. the ground floor restaurant served a delicious pizza, with a great glass of wine, and all not too expensive. check in time is 2.00 pm. i would be happy to stay here again on next visit to dubai. the the should have more choice of channels, the furniture need urgent upgrade and and bathroom need urgent make over other wide all is ok loved my stay here. I was a bit shocked at the state of the bathroom. Mould in the grout work of the tiles. And just old out of date looking. There were loose electrical fittings. Bulbs and sockets. The tv arial was loose and taped up and was hanging out. The staff were very friendly tho and the whole place seemed ok. It was just let down that a few up dates that wouldn’t go a miss. Shame really. We did not get a duvet/sheet/ cover for sons bed in five days. The tiles in bathroom fel down from the walls, litterally, when We where sleeping one night. Every night We where heavily disturbed by the three nightclubs in hotel open all days a week.(!!!!!) The traffic was Heavy in the junction. And the bathroom door did not close, at first, they had to come and take a part of door down, and then it was without paint, all the time even if they said they would come and paint it. Also the door towards the hallway was to Thon, loudness from corridor screaming, both midnight (drunk men and women) mornings (children) All hotelroom Doors and bathroom Doors needs chaging to real hotelroom Doors, loudfre The small in the Building was terrible from other floors where they had smoking aloud in Rooms. Totally smokefree Hotels are important, , indoor and outdoor. The Swimingpool area was Very neglected and old, and torn down. The whole hotel needs a facelift worth millions. สถานีรถไฟใต้ดิน World Trade Center - ระยะ 1.25 กม.